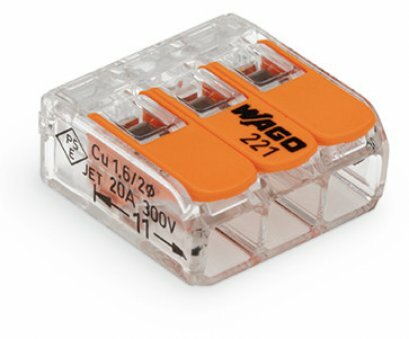 The new “WAGO” is more than 50% smaller than the original 273 Series, which has proven itself in billions of applications. 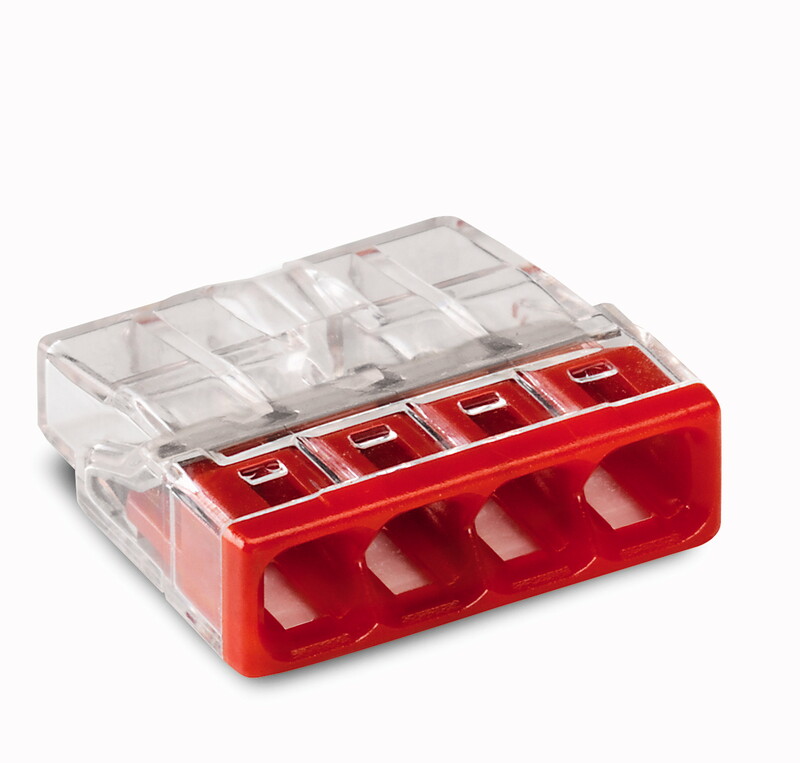 The transparent enclosure of the connector provides secure and error-free connection of solid conductors. 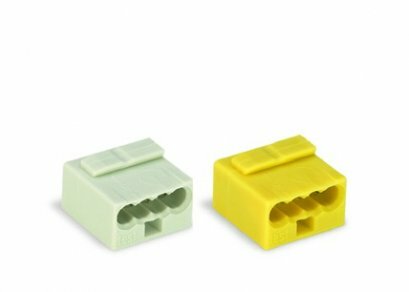 The 2273 Series COMPACT PUSH WIRE® Connector for Junction Boxes – Small is Big. Small yet powerful. 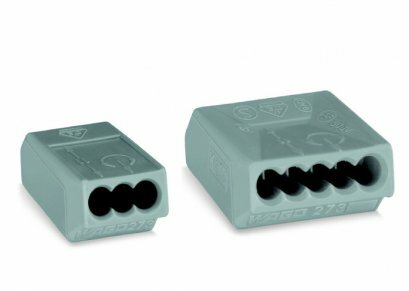 The 2273 Series COMPACT PUSH WIRE® connectors for junction boxes are around 50% smaller than the original 273 Series “WAGOs” used successfully in billions of applications. This saves a great deal of space for electrical installations. 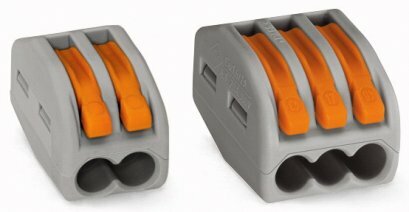 The individually combinable connection cross sections from 0.5 to 2.5 mm², nominal current up to 24 A and clear, unique color coding for quick access provide you with perfect installation conditions. The new “WAGO” is more convenient and easy to use than ever!